Cataracts are most frequently diagnosed by the optometrist. Often patients who have become accustomed to reduced vision and do not realise what the problem is until they do see their optometrist. Having seen the optometrist they’re referred to an ophthalmic surgeon and the diagnosis is confirmed and then what we do is discuss the treatment options in terms of refractive outcome, where you want to be focused, have good distance vision, good near vision or a combination and for example the choice of anaesthesia. 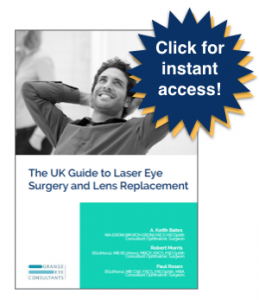 By Grange Eye Consultants|2016-03-11T10:38:41+00:00September 19th, 2016|Cataract Surgery, Paul Rosen, Video FAQs|Comments Off on How are cataracts diagnosed?